The Andaman & Nicobar Islands Institute of Medical Sciences (ANIIMS) has circulated a new advertisement to fill up 55 Professor, Assistant Professor, Associate Professor, Senior Resident/ Tutor, and Junior Residents Vacancies. As per the latest news the candidates who are applied for ANIIMS Recruitment 2017 Notification they have to face the personal interview. The organization has already started receiving the application forms. So, those who are interested in ANIIMS Jobs must apply for this notification before 30th September 2017. Candidates should have done Graduation Degree/ Post Graduation Degree or its relevant qualification from any recognized institute or university. Job fighters who are seeking for Latest Government Job Notification use this notification and apply for ANIIMS Recruitment 2017. Want to know more details about ANIIMS Job Openings then check the official notification which is mentioned at the end of the page. The officials will clearly say that the interested candidates can apply through online mode. In the below section we have mentioned an email address. Other details like Eligibility Criteria, Selection Process, Application Fee, Age Limit and Age Relaxation, Salary Details are clearly mentioned in the below section. Closing date to submit the application form is 30th September 2017. All the required data is provided on this page. 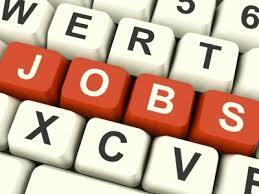 In this page, all the aspirants can find all necessary updates about the ANIIMS Job Openings. Want to get clear information about ANIIMS Recruitment 2017 then read the entire article clearly. This is the golden chance for the job seekers who are searching for Latest ANIIMS Job Openings 2017. The candidates have to remember that the organization will receive the application forms until 30th September 2017. Aspirants who are looking for Medical Jobs this notification is useful for you. All the applied candidate’s age should not exceed 40 years. So, we request each and every applicant before applying for ANIIMS Recruitment 2017 refer the entire data which is clearly provided on this page. So, if you are interested in Professor, Assistant Professor, and Other Vacancies this is a golden chance. So, grab this job opportunity and get a place in Andaman & Nicobar Islands Institute of Medical Sciences (ANIIMS). For more details scroll down and check. There are totally 55 positions in ANIIMS. Applied competitors must face personal interview. We request all the candidates before applying for this ANIIMS Openings once refer the official notification. Check the complete data and submit the application form before 30th September 2017. Kindly go through the complete article we are sharing important information about ANIIMS Recruitment 2017 on this page. Also, check more Central Government Jobs on our website. Applicants will only face the Interview round. Apart from there are no other rounds. The candidates who got selected for Professor, Assistant Professor, Associate Professor, Senior Resident/ Tutor, and Junior Residents Jobs they must receive Rs. 86,000 to Rs. 2,25,000/- Per Month. We gather all the stuff and provided on this page. There is no specified application fee so we request all the contenders refer the official notification and check the application fee details. We have given all the ANIIMS Recruitment 2017 Notification Details in the below section. Candidates must remember that the candidates who are eligible for Professor, Assistant Professor, Associate Professor, Senior Resident/ Tutor, and Junior Residents Jobs they have to submit the application fee before 30th September 2017. Go to the official site of Andaman & Nicobar Islands Institute of Medical Sciences (ANIIMS) and check the details. We suggest all the job seekers check the Syllabus and Model Papers on our website. Our website providing all the notification for Government Jobs. For more genuine information stat tuned with our website sarkarirecruitment.com. Sent the application form to the given Email Address. The applying aspirants should have done Graduation Degree/ Post Graduation Degree or its relevant qualification from any recognized institute or university. The Candidates age limit should not exceed 40 years. Check the official notification for Age Relaxation. And the Age Relaxation is as per Andaman & Nicobar Islands Institute of Medical Sciences norms. The officials will clearly mention that the applied candidates must face the personal interview conducted by Andaman & Nicobar Islands Institute of Medical Sciences (ANIIMS). There is no specified application so we suggest all the candidates refer the official notification which is mentioned at the end of the page. The applicants who got selected for Professor, Assistant Professor, Associate Professor, Senior Resident/ Tutor, and Junior Residents Jobs they have to receive Rs. 86,000 to Rs. 2,25,000/- Per Month. The Post Wise salary pay scale is given in the official notification. Candidates must visit the official website of Andaman & Nicobar Islands Institute of Medical Sciences at www.andaman.gov.in. Check for the ANIIMS Recruitment 2017 Notification. If you fulfill the eligibility criteria then download the application form. Fill the required details with correct manner. Once recheck the given details and click on the submit button. The Ending Date to Submit the Application Form: 30th September 2017.